The Technological District Sicily Micro and Nano Systems of Sicily is a consortium included into the 25 districts promoted by the Italian Ministry of Education & Research. The members of the District are the Region of Sicily, 3 Sicilian Universities (Palermo, Catania and Messina), the Italian National Research Council, research centers and development enterprises of the territory (SMEs and large companies). As a matter of fact, the Consortium owns really strong competencies, due to the fact that among its parties it includes several national and global firms dedicated to research, development and experimentation of micro-nano industrial systems. – micro and nano systems for Transports and Advanced Logistics Systems. As part of the programming period 2007-2013, Technological District Sicily Micro and Nano Systems implemented, as project leader, important national cutting-edge projects about nanotechnology in the areas of health, energy and plastic materials. It is also member of two Italian Technology Clusters: Life Sciences – ALISEI – and the Smart Factory. – facilitate internationalization processes, improving the ability to attract investments and talents, creating the conditions for the birth of start-ups and research spin-offs, with the aim of achieving a better international competitiveness, and a better ability to achieve synergies between different industries of the same technological nature. In addition, the District intends to develop networks and projects in the specific field of electronics and in particular microsystems (CSA ICT-31-2017) and Smart Anything Everywhere – SAE (ICT-04-2017). STMicroelectronics is a global independent semiconductor company developing and delivering semiconductor solutions across the spectrum of microelectronics applications. A combination of silicon and system expertise, manufacturing know-how and Intellectual Property (IP) portfolio positions the Company at the forefront of System-on-Chip (SoC) technology. In 2015, ST’s net revenues were US$ 6.9 billion and ranked among the top ten manufacturers of the microelectronics domain. 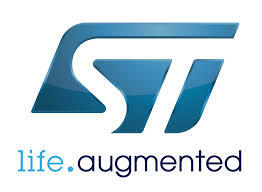 ST designs, develops, produces and commercializes a large variety of semiconductors. ST is the world’s leading supplier of EEPROM, analog automotive and thyristors, and holds challenging positions for MCU32 microcontrollers, sensors and actuators, rectifiers and power diodes, digital automotive, Analog data processing and analog industrial. In application segments, ST holds strong positions in Industrial and in Automotive. The group totals more than 43,000 employees, among which 8,700 working in R&D and product design; 11 main manufacturing sites and 75 sales offices in 35 countries. Among the several Facilities, STMicroelectronics Sites in Catania and Tours are Competence Center for POWER Domain. Today Catania hosts a pilot line for SiC in 4” that will be soon updated at 6”. The University of Catania is one of the oldest academic institution in Italy with 18 Departments and an university center for outstanding students, The Scuola Superiore of Catania a School of Excellence. The research institution of UNICT working within the project is the Department of Electrical and Electronics Engineering and Informatics (DIEEI). The scientific groups working at the Department of Electrical and Electronics Engineering and Informatics (DIEEI) of the University of Catania have been active since 1971 in the sectors of Electrical and Electronic Engineering, Systems, Automation, Informatics and Telecommunications. The Department carries out its institutional activities within the territory of eastern Sicily, but with strong scientific links with other Italian and foreign universities and cooperative relationships with industries and public institutions (Fiat, Ansaldo, CNR, ENEA, TIM). Among the collaborations, particularly important is that with various groups within STMicroelectronics. The Department operates in an international context, from the relationships that each researchers have woven over the years, which allows to carry out research activities aligned with those developed in the best engineering schools and train young researchers with significant experience abroad. They are conducted using the experimental facilities of the Department and are developed on the basis of modern and competitive strategies, with results of high scientific value, witnessed by national and international awards. The Department includes several laboratories, including that of Power Electronics, Electrical Machines and Drives, that of Microelectronics, the Electrical Measures and Electronic Equipment, the Automation and Systems, all equipped with machines, equipment and measuring instruments and advanced calculation, allowing the realization of experimental research. The Electrical Machines and Power Electronics Group (EMPEG) of the Department of Electrical Electronic and Computer Engineering includes 5 full time scientists with 4 Professors and 1 Post-Graduate, 5 technicians and administrators, and several Ph.D. and graduate students. Since 1975 the research activities are devoted to Power Electronics and Energy conversion systems, dealing with power electronic converters and devices, electrical machines and drives, and their application in industrial processes, energy conversion from renewables, automotive and traction applications, home appliances. The Pattern Recognition and Machine Learning group (PeRCeiVe) at the Department of Electrical Electronic and Computer Engineering consists of one full professor, one associate professor, one assistant professor, and several research assistants and PhD students. The Pattern Recognition and Computer Vision group is actively involved in pursuing cutting edge research on issues related to Machine Learning and Pattern Recognition and their application to real-world problems including intelligent energy management optimization in multi-power-source systems. – Energy management and distribution. The main civilian & military programs involvement in terrestrial and aeronautical fields are: Leclerc, VBCI, Caesar, Auf1, Vab, … Tigre, Rafale, Falcon, Saab2000, Transal, A340, A350 etc. The most important R&D effort is realized on Energy Management & Distribution solutions. WInSiC4AP project is directly in accordance with this R&D effort. VSCM is an independent group, fully focused on the design, production and sale of components, integrated systems and modules for the automobile industry, mainly for the reduction of CO2 emissions. It is one of the world’s leading automotive suppliers. VSCM is a first tier automotive parts supplier with a worldwide foot print. Investment in Research & Development represents 10% of the Group’s total operating revenues for line fit products. Valeo Engine and Motor control Systems (VSCM) is a subsidiary of Valeo and is focused on the design, manufacturing and sales of electrical systems for powertrain systems. In last decade VSCM has also developed a complete hybridization strategy starting from micro hybrids up to electrical vehicles. VSCM has introduced the “stop start” system on the belt driven Starter alternator reversible system with PSA in 2004, is now focused on implement new functions regenerative braking and torque assist to design cost effective mild hybrid solutions. In the same time VSCM is working on electrical vehicles and derivative solutions (full hybrids and plug in hybrids). VSCM has a great experience in electrical cars (background from Sagem) providing to Renault and PSA electrical power train systems covering all power electronics components needed in the system: DCDC HV-LV converter, inverter, on board charger, and associated vehicle supervisor. These vehicles were sold from 1998 to 2005. As from 2008, Valeo has empowered the developments links to hybrids and Full electric vehicles power electronics. In 2013, Valeo acquired also Eltek company located in Norway in order to enlarge its portfolio to on board charger products. We are now able to propose to customers a full proposal on the complete range of hybrids and pure electric vehicles: inverters are in mass production with 2 major customers (US and French OEM), DCDC converter has started production in 2016, and on board chargers are already in production with the second generation (European and Chinese market). In order to develop our next generation products with the constant willingness to propose more efficient and cost oriented solution for affordable system, Valeo launched some major innovative projects in the last years. French funded programs like Sofraci and Memoire projects have boosted the innovations and Valeo is proud to be able to propose a new inverter concept and structure. This product is not yet on the market but concept phase is now validated. Valeo did also participate to THOR European funded project within Catrene organization, on a DCDC converter research. This DCDC was supported by the THOR project, and is in production since beginning of 2016 for US market. More recently, Valeo is involved in an important French program called MEGAN and participate to the evaluation of a very new technology of switches components from GaN technology. Valeo is also involved in 3Ccar European project for a high power (>200kW) inverter development. 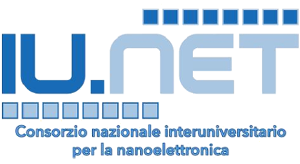 The “Consorzio Nazionale Interuniversitario per la Nanoelettronica” (IUNET, Italian Universities Nano-Electronics Team), is a non-profit, private Organization, which has been created with the initial aim to lead and coordinate the effort of the major Italian University Teams in the field of Semiconductor-Based Nanoelectronic Device Modeling and Characterization. After this initial phase, several other groups have joined IUNET, bringing competences in analog, mixed-mode and digital IC design, electronic systems, algorithms for signal processing and power devices based on III-V and III-N semiconductors. Current Members of IUNET are the Universities of Bologna, Calabria, Ferrara, Modena e Reggio Emilia, Padova, Pisa, Roma “Sapienza”, Udine, and the Politecnico of Milano. They offer renown and complementary expertise in the field of modeling, simulation, design, characterization of CMOS-based nanometer-size electronic devices as well as in the development of algorithms and architectures for signal and information processing and power generation. The specific competences and expertise brought to the project are related to i) the understanding of parasitic phenomena in SiC-based Power devices, through: advanced characterization and device modeling and assessment of technological countermeasures, ii) 2D/3D device simulations of SiC-based devices with special focus on parasitic phenomena and breakdown behavior; iii) Identification of device failure modes and mechanisms and recommendations towards the development of a robust and reliable SiC–based technology. At a system level, IUNET will contribute to the development of system architectures such as SiC-based power converters, to the definition of specific requirements and to the drawing out of possible use cases. This contribution is relevant to the project and is certified by the very large number of relevant papers published in international journals, the long-standing collaboration with leading industries in the field and the extremely significant recognition at international level of all the involved team members, as it can be deduced by their CVs. The “Dipartimento di Scienze matematiche e informatiche, scienze fisiche e scienze della terra” (University of Messina) deals with the development of scientific knowledge and education in the field of physics, math, informatics and hearth sciences at every level. In particular, it promotes and coordinates the research activities in the fields of physic of the matter, nuclear physics, theoretical and applied physics. In the field of experimental characterization of power devices and of estimation of their lifetime and reliability, UNIME has more than ten years of expertise focused to the study of the silicon devices by applying microscopy and spectroscopy techniques. Also a complementary expertise in the field of modeling, simulation, design, and characterization of nanometer CMOS devices is available. The Dipartimento di Ingegneria (DI) is the School of Engineering of the University of Messina. It manages research activities in all fields of engineering and is responsible for teaching activities at BS, MS and PhD levels in the areas of Architectural, Civil, Electronic, Industrial, Information and Mechanical Engineering. Scientific and technological research in the Power Electronics field at DI has been focused in the last ten years on the development of new converter topologies and of advanced methodologies for reliability assessment. Among the last, fast thermodynamic analysis and thermal strain direct measurement techniques have been successfully proposed to predict the lifetime of SI and SiC devices. The Czech Technical University in Prague (shortly CTU) educates future experts in technical fields. The University develops scientific and educational research, creative and technical activities in accordance with the social requirements, worldwide trends and the principles of freedom of intellectual activities. CTU has 8 faculties. The Faculty of Electrical Engineering (FEE) is first-class research and education institute in electrical engineering, telecommunications, automation, informatics, and computer science & engineering. All study programmes are closely linked to the faculty’s research activities. Even without the other CTU faculties, FEE ranks among the top 5 research institutions in the Czech Republic. FEE generates about 30% of the whole research output of CTU. In research, FEE collaborate extensively with top universities and research institutions worldwide and offers innovative solutions to our industrial partners. The Department of Microelectronics (established in 1977) belongs to the most significant Departments of the Faculty of Electrical Engineering because of rich research and educational results. The research activities are focused on Electron Devices (design, simulation, diagnostics and reliability), IC design, Optoelectronics and Microsystems. During the past years more than 1300 students graduated in the branch of Microelectronics, many Ph.D. or D.Sc. degrees have been also awarded. The Department maintains international co-operation with many universities and research institutions in the EU and worldwide. The Department has extended the links to many electronic institutions from which STMicroelectronic, S3, ON Semiconductor, Honeywell, ABB Semiconductors AG, IMB-CNM, CADENCE, ASICENTRUM continuously play a dominant role in both the co-operative projects and support of postgraduate teaching. The main focus of the research activities of the Institute of Micro Production Technology (IMPT) is the modelling and manufacturing of especially based on magnetic effects actuators, sensors and passive components (MEMS—Micro Electro Mechanical Systems).In addition, the characterization of MEMS from mechanical via magnetic to electrical properties and their adjustment is focussed. Development activities range from magnetic field sensors to measurement systems and micro motors, actuators to manipulation of micro-optical lens systems as well as optical measurements systems, and to passive components for electronic applications. Available to the scientific and technical staff of the IMPT for research activities, a class ISO 5 clean room, which, with its extensive facilities, allows for the implementation of microsystem processes for the production and analysis of MEMS and reliability studies. In addition, the IMPT has access to research laboratories, with which the mechanical processing and metrological characterization of microtechnical systems and materials are made possible. Therefore, the IMPT is well integrated into the comprehensive facilities of the Hannover Center for Production Technology (PZH) and strengthens the research potential of the PZH in the area of micro production technology. The Institute for Microelectronics and Microsystems (IMM) belongs to the National Research Council of Italy (CNR), has the headquarters in Catania and research units located in seven different sites in Italy (www.imm.cnr.it). The Institute has a permanent staff of about 200 people, with expertise in physics, chemistry and electronics engineering. The temporary staff counts also several Post-Docs and Ph.D. students. The activities of IMM are focused on innovative solutions for micro and nanoelectronics, advanced materials and processing for smart components, optoelectronics and photonics, sensors and multifunctional micro/nanosystems. The team involved in the present project has a recognized experience on wide band gap semiconductor materials (like SiC and GaN), processing, devices characterization and modelling, and has published more than 300 papers related to WBG semiconductors in the last 15 years. The Institute holds a relevant scientific relationship with STMicroelectronics, as the IMM headquarters in Catania has its labs inside an ST fab. ZODAERO is a world leader in electrical power distribution system and flight deck equipment, lighting systems and windshield wiper systems for aircrafts and helicopters. ZODAERO is also a leading company in aircraft electrical system including electrical generation, conversion, distribution and newly committed in energy storage devices. This unique position allows ZODAERO to guarantee the delivery of the right equipment for the right application. ZODAERO has fully integrated capabilities to specify, design and deliver safe, cost effective and compliant electrical systems . ZODAERO has about 1,200 people in France and invests approximately 15% of sales in R&D. Among other subsystems included in power distribution system, ZODAERO is in particular designing/specifying converters and electrical protection systems. APOJEE is a French company with more than 50 engineers and technicians acting as a supplier of high-technology in the fields of power electronics, embedded control units and ignition / combustion, for automotive, aerospace and defense market. APOJEE works on the complete life cycle of a product up to mass production support with experienced engineers (> 20 years for some) in the fields of marketing, electronic development, embedded software systems, electromagnetic compatibility, industrialization and quality. aPSI3D is an independent innovative company created in 2013. It raised funds in 2015 in order to industrialize its products. aPSI3D designs and manufactures highly compact, low inductance, high power switchs for power inverters. SAT has thirty years of experience in the distribution process of chemicals, primarily in the semiconductor and pharmaceutical industry. Since 1987, SAT designs and manufactures components in ultra-pure thermoplastic material, obtained by machining or molding . Since 2005, SAT expanded its production divisions with the design and realization of modular Wet Bench, mainly dedicated to the applications required by the semiconductor industry, pharmaceutical and solar. WURTH ELEKTRONIK EISOS GMBH & CO KG is a manufacturer of electronic and electromechanical components for the electronics industry. WURTH ELEKTRONIK EISOS GMBH & CO KG is part of the WÜRTH Group, the global market leader for fastener technology. The company employs currently 6,100 people and generated sales of 400 million Euro in 2014. As one of Europe’s largest manufacturer of passive components, WURTH ELEKTRONIK EISOS GMBH & CO KG product range covers EMC Components, Capacitors, Inductors, RF Inductors and LTCC Components, Transformers, Components for Circuit Protection, Power Modules, LEDs, Connectors, Switches, Power Elements in Press-fit Technology and Assembly Technique. WURTH ELEKTRONIK EISOS GMBH & CO KG is active with direct sales in 40 countries worldwide. 13 manufacturing facilities located in all important markets worldwide guarantee the rapid delivery of components. GREMAN is a recent research group, issued from the merger, in 2012, of three laboratories at Tours University (UNITOU). The GREMAN has now the status of UMR (7347) of CNRS/University of Tours. The main activities of GREMAN are elaboration and characterization of materials, physics of condensed mater as well as nano and microelectronics, mainly focused on power and RF electronics. Concerning power electronics activity, GREMAN has started researches on wide bandgap materials, in particular SiC and GaN, since 2004. GREMAN has nowadays a multidisciplinary competence, covering all the fields from the materials science to the device development. Besides, GREMAN is a founding member of CERTeM (Centre d’Etudes et de Recherches Technologiques en Microélectronique) in Tours, that gives the full access to the technological platform necessary to achieve (photolithography, sputtering, ICP etching …) and to characterize electrical devices. Institute of Microelectronic Applications s.r.o. (IMA) is a limited private company (SME) located in Praha and Pardubice (CZ). Being on the market since 1992, IMA is well established in the smart card business and follow up micro technologies bridging towards nanotechnology. IMA deals with electronic identification and utilizes smart cards, RFID/NFC, biometrics and wireless ZigBee technology. For 2 years IMA was chairing WG cards of EFMI (European Federation for Medical Informatics). IMA represents CZ in ISO and CEN groups for standards in health care domain. Beside this, IMA was key partner for BioHealth project / awarded by Europe INNOVA/, in which proactive repository of standards for IDM, security and BioHealth has been created (more than 200 standards across ISO, CEN, ETSI and GS1). Providing large systems in CZ, IMA is now launching application hosted in NFC mobile set and collaborate with mobile operators on management of identities. Within real applications running IMA is piloting various advanced technologies. IMA also provides integration services in terms of: a) merging new eID systems into the existing infrastructure, b) meeting legal regulatory base for eServices applied cross boarder within EU, c) ensuring privacy and personal data protection and d) data fusion and mining, profiling and correlations detection among identified objects. This ensures safety and security for supervised persons at public spaces. Within EU projects (Artemis, Eniac, Catrene) IMA delivered electronic devices and applications for automotive and building domain – car data remote monitoring, car sensor data processing, advanced access management, EV charging data concentration, air quality monitoring services. Enel X s.r.l. is a subsidiary fully owned by Enel SpA. Enel SpA is a multinational energy company and one of the world’s leading integrated electricity and gas operators. Enel SpA works in 37 countries across 5 continents, generating energy with a net installed capacity of almost 84 GW, selling gas and distributing electricity across a network spanning approximately 2.1 million km. With around 64 million end users around the world, Enel SpA has the biggest customer base among our European competitors, and is one of Europe’s leading energy companies by installed capacity and reported EBITDA. Enel SpA’s portfolio of power stations is highly diversified, running on hydroelectric, wind, geothermal, solar, thermoelectric, nuclear and other renewable sources of power. Almost half of the energy generated by Enel is produced with zero carbon dioxide emissions, making the group one of the leading producers of clean energy. The Enel Group is made up of nearly 63,300 people from around the world whose brilliant work is based on values of Responsibility, Innovation, Trust and Proactivity. Together all Enel Group employees are working on the same goal of “Open Power” in order to tackle some of the world’s greatest challenges. Within the strategy of opening electricity to new uses, towards the end of 2017 Enel SpA restructured its organization creating Enel X, a subsidiary dedicated to non-commodity activities such as energy efficiency, demand response, smart cities, smart homes and electric mobility. An overview of Enel X activities and the perimeter to which this project is included. Enel X’s e-mobility business currently includes more than 200 people operating in different countries: Italy, Spain, France, Romania, UK, United States, Brazil, Chile, Argentina, Colombia, with an estimated revenues plan of more than 8M€ in 2018. Enel X has inherited through public deeds (business units handover) and internal reorganization all activities focused on E-mobility. Established in 1979, Softeco Sismat SrL (www.softeco.it) is a mid-size, highly innovative SME and a software systems provider in several sectors, including industry, telecommunications, finance and government. The company is a major supplier of software and automation systems within complex industrial application in Italy and Europe, using advanced IT methodologies, hardware and software tools. With its headquarters located in Genova and branch offices in Milan, Naples and Catania, Softeco Sismat has currently a staff of about 240 professionals, including system, project and research engineers, software analysts and developers. The turnover is around 19 million EURO with a constant growth over the last 10 years. Softeco Sismat’s software systems include applications in various market segments such as e-Business and Mobile-Work solutions in different industrial sectors (e.g., manufacturing, automotive, shipping, biotech, etc.) and service markets (e.g., info-mobility, transport, tourism and travel, logistics, health care, etc. ), and mission-critical ICT solutions for large industrial, public, and private organisations in various areas (e.g., energy production and distribution, telecommunications, traffic and transportation, finance). Softeco Sismat’s is an innovation oriented company: in over 20 years of activity, thanks to a collaboration network of over 800 European companies and research centres, Softeco Sismat’s Research & Innovation department took part – also as Project Coordinator – in more than 80 research projects (www.research.softeco.it). These include projects funded by the European Commission under various Framework Programmes – starting from FP3 onwards, up to FP7 and H2020 – and in other major initiatives such as, e.g., eContent, eContentPlus, eTEN, ICT-PSP, LIFE/LIFE+. Softeco Sismat is also a major player in the national research and innovation arena, with participation to a large number of National and Regional initiatives. The Campania Technological Aerospace District was established on 30 May 2012 under the auspices of the Italian Ministry of Research with the aim to contribute harmonizing the interaction of all stakeholder on the regional territory to favour the development of competitive capabilities within the Campania aerospace industry. The Campania industrial tradition and the presence on the territory of actors of the innovation represented by Universities and Research Centers is not sufficient to further enhance industrial development and to maintain a primary role on the international scenario. DAC is participated by 154 entities: 12 large industries (as Leonardo, MBDA, Magnaghi Aeronautica, Atitech, DEMA, Telespazio, ALA, I.D.S. ), 12 research centres and universities (as CIRA, CNR, ENEA, Formit, 5 universities), and 130 SME’s (most of which grouped into 8 Consortia, one of these SMEs consortia is CALTEC that is directly involved via its members Redam and OMI in the present project providing person-power and taking care of the core technical aspects of the DAC participation). Research funds are focused on strategic projects for Aerospace with an effective fall out on industrial applications. DAC’s transversal initiative tends to enhance the capabilities of the whole regional network and enhance its visibility with the outside Aerospace world. 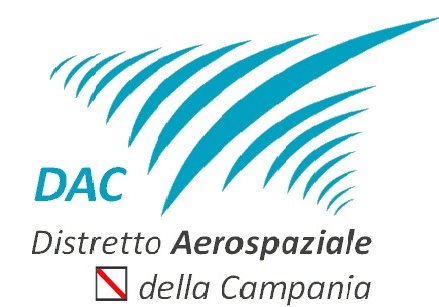 DAC is supporting the consolidation of an aerospace education Pole in Campania, finalized to shape profiles and competences, which directly meet the Industry needs. – Maintenance and Overhauling – to develop innovative methodologies and technologies for maintenance and overhauling procedures. It introduced a system of collaborative project and knowledge management by which all partners may operate independently within an integrated vision.